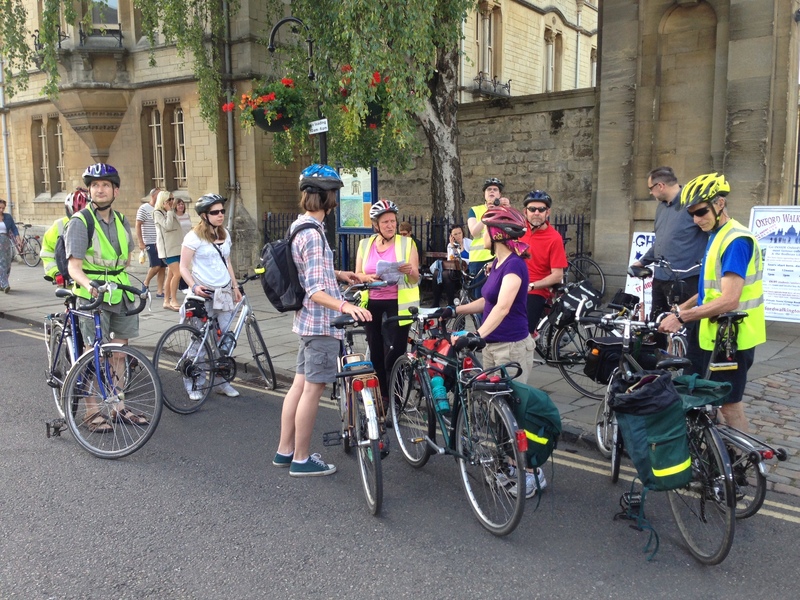 Photos from Cyclox Traffic-light-free city circle on Monday 15 June 2015. 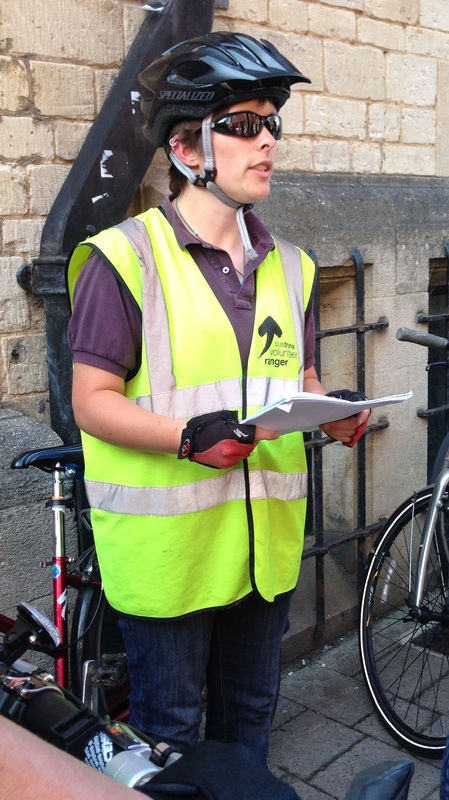 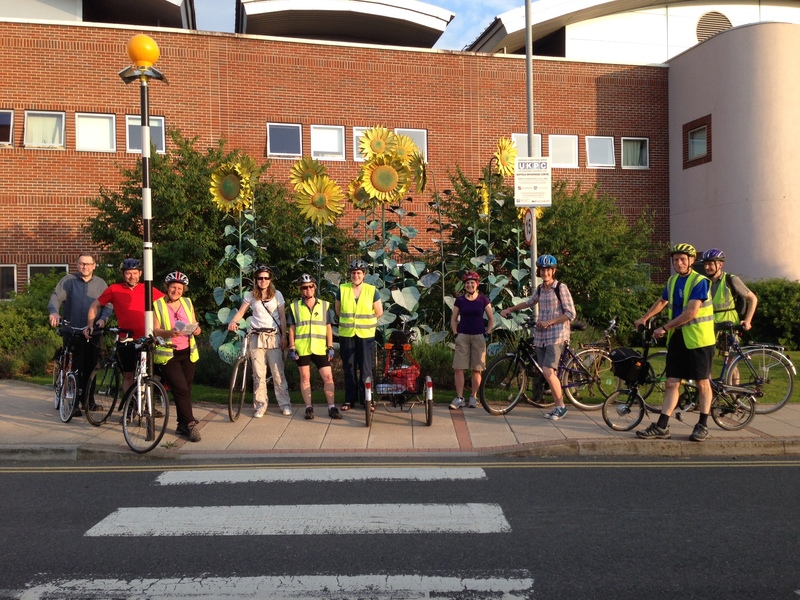 On a lovely sunny evening, 18 of us, including our youngest cyclist Florence aged 1, set off from Broad Street on an 11 mile trek round the city avoiding all junction traffic lights, using toucan and pelican crossing to cross main roads. 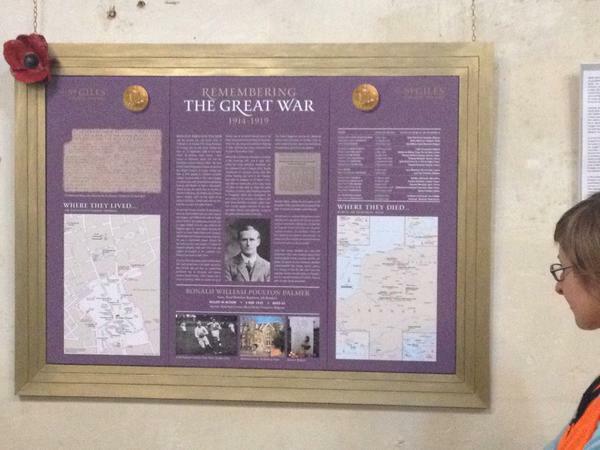 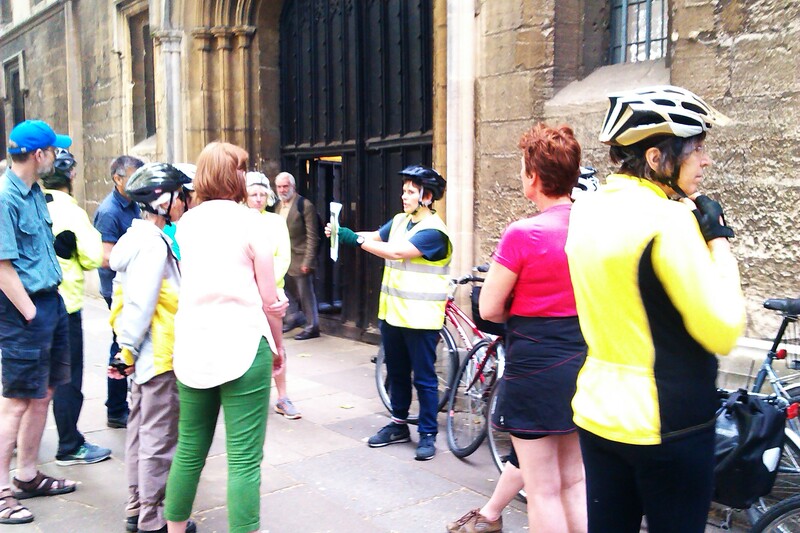 You may not have thought it possible even to get out of Broad Street but it is – see if you can work out how to do it! 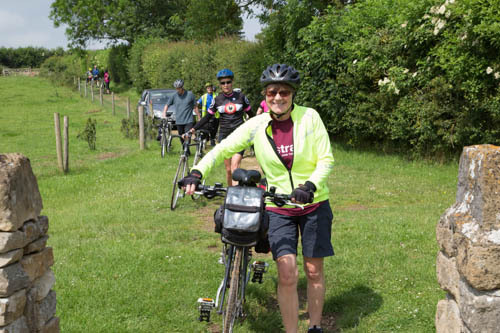 For those who might want to try it for themselves, the trip took us over the gas bridge, down the river to Donnington Bridge, across Iffley and Cowley Roads, up Bartlemas Close to Hill Top Road, then Cheney Lane, Pullens Lane, Jack Straw’s Lane, along Marston Road to the Marston Ferry Road, dipping south to Belbroughton Road, then across Banbury and Woodstock Road to Frenchay Road, down the canal to Walton Well Road, across Port Meadow to the river and then down the river to the gas bridge again, where the ride ended. 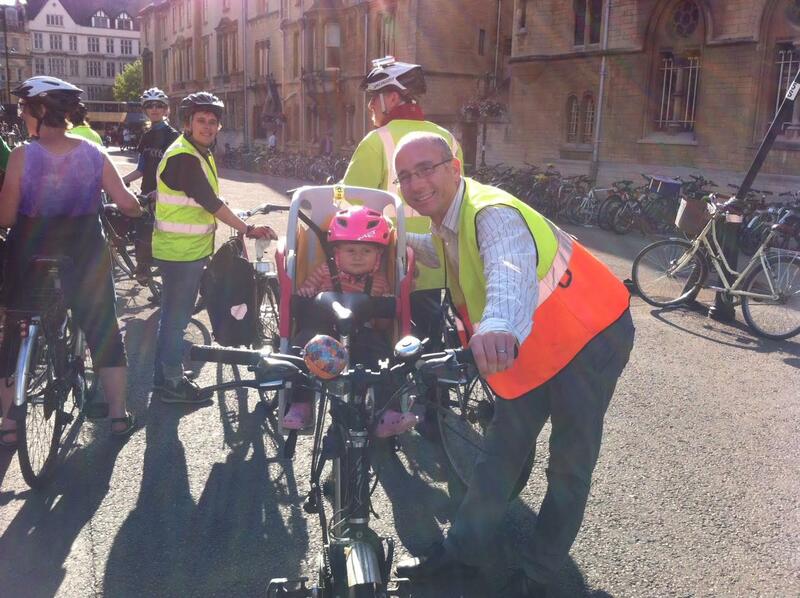 Oxford looked its best for us. Thanks all for participating. 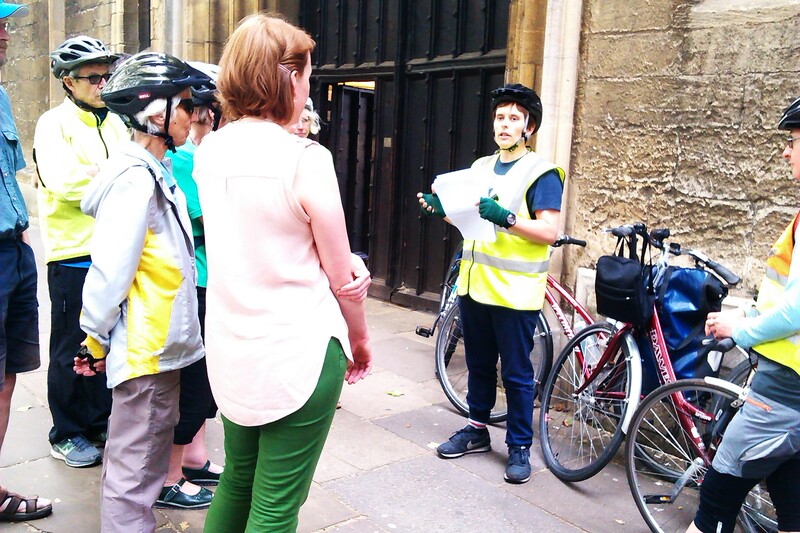 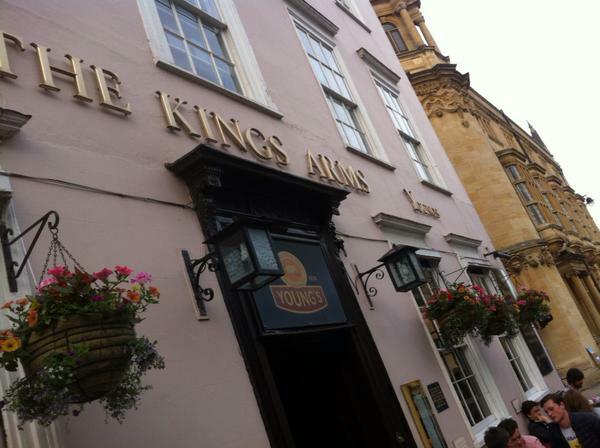 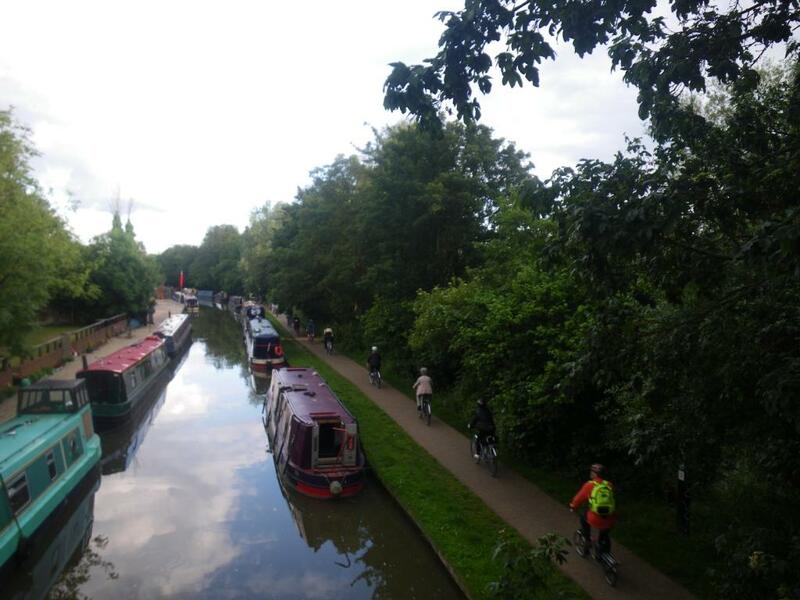 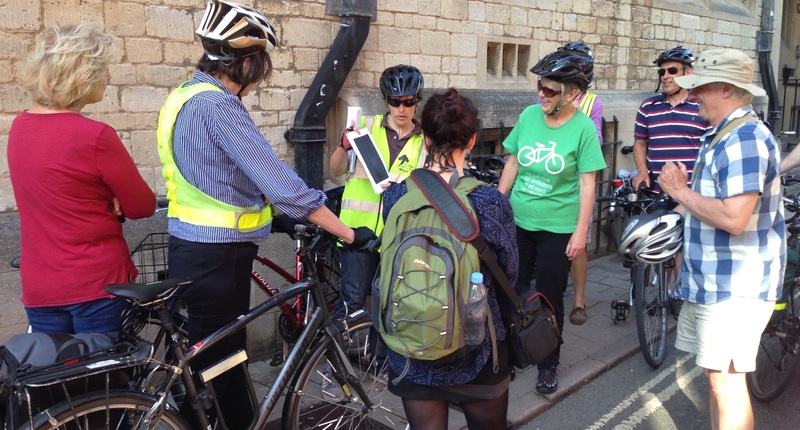 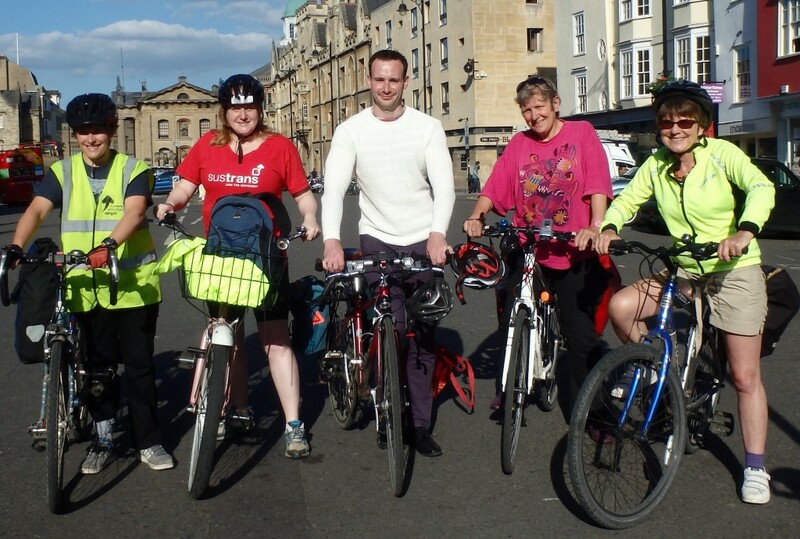 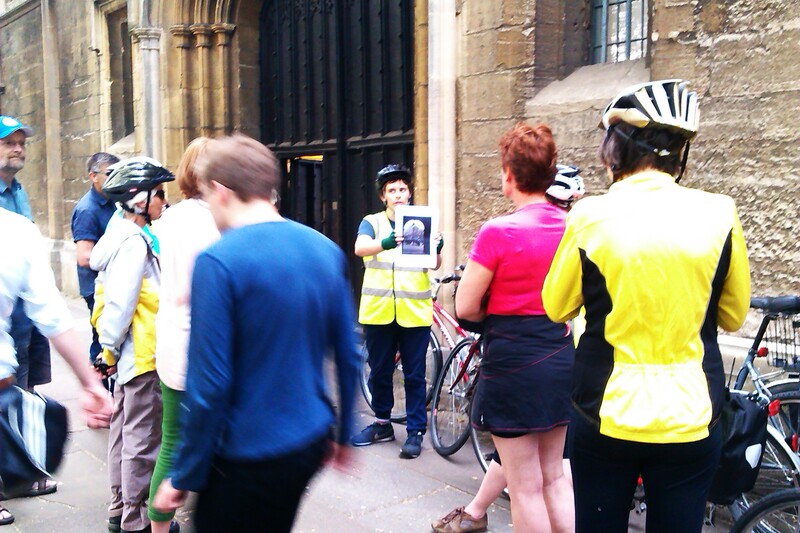 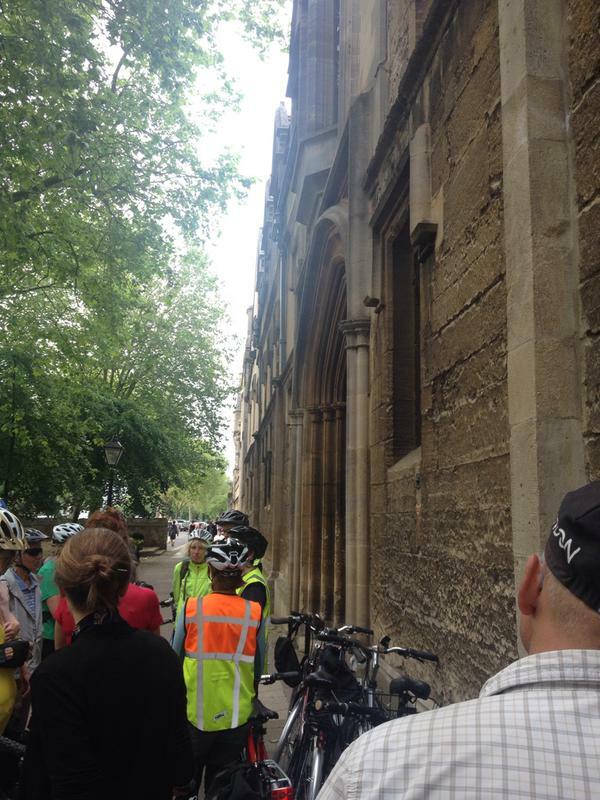 Photos from CTC Oxford ride on Sunday 14 June 2015. 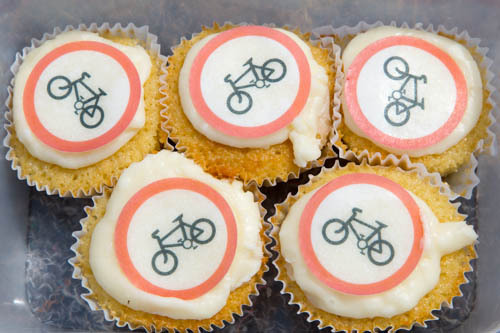 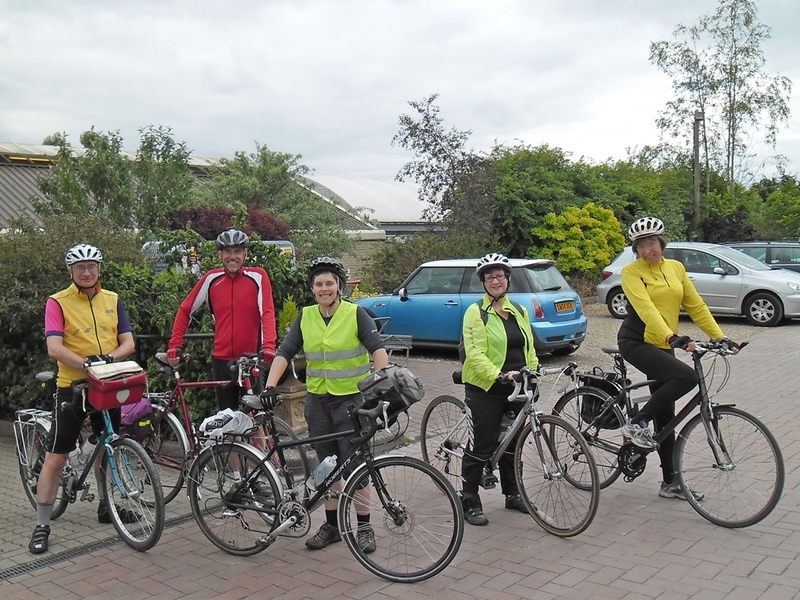 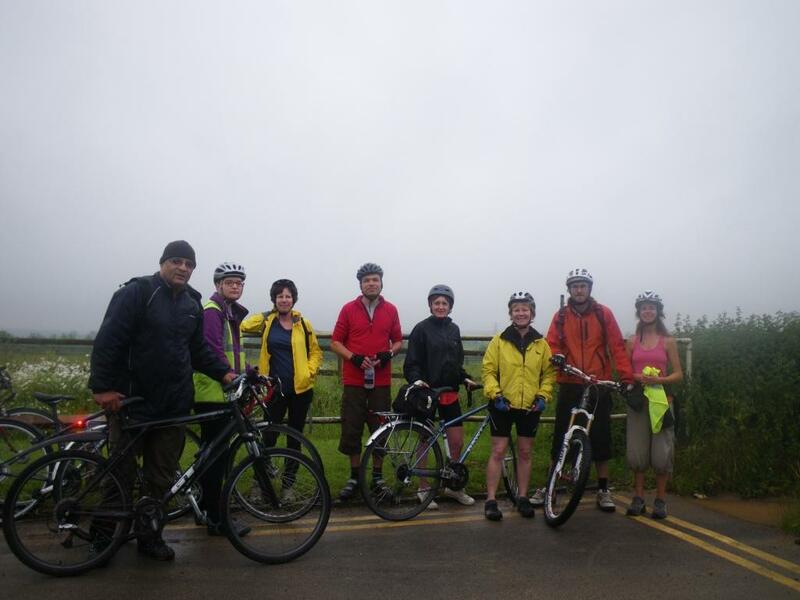 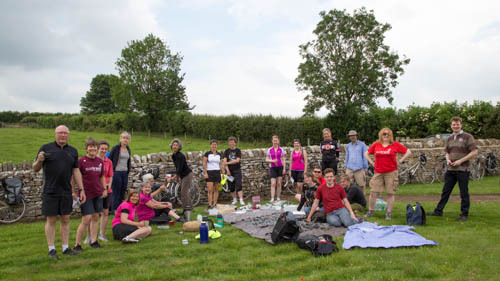 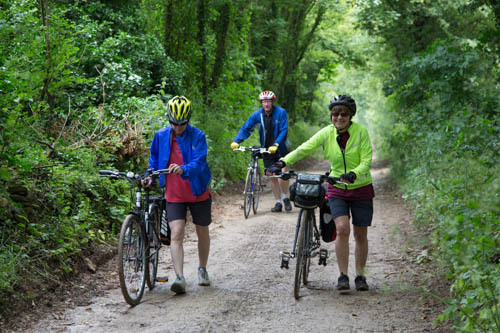 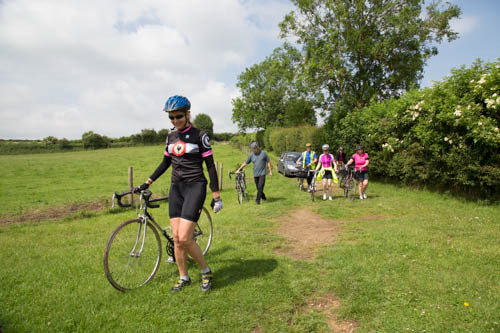 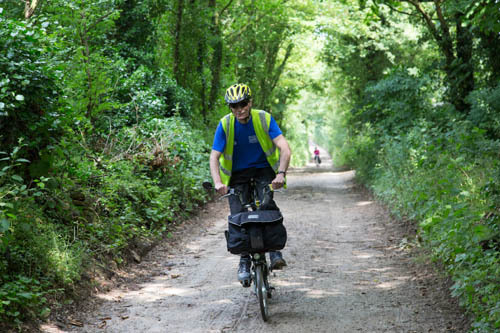 Photos from the CS Lewis ride on Saturday 13 June 2015. 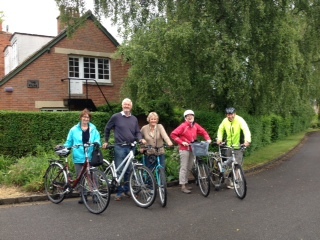 Six brave souls ignored the rain during a pleasant 5 mile ride to The Kilns, former home of CS Lewis, for a fascinating talk about the history of the house and it’s famous residents. 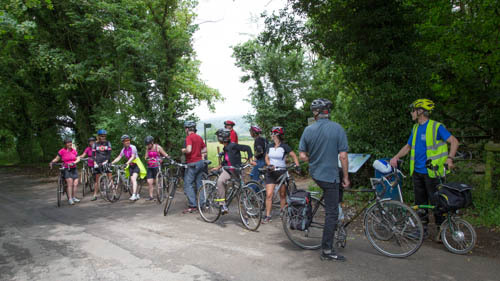 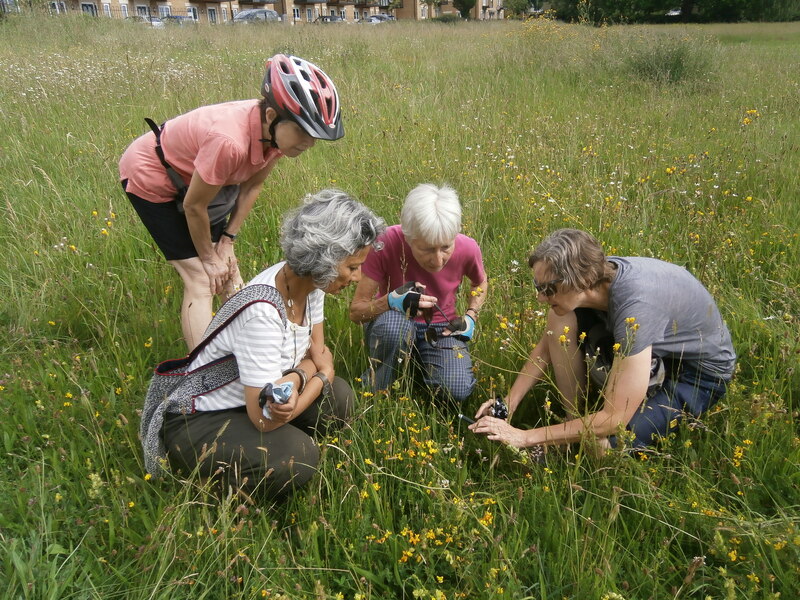 Participants also exercised their imaginations to see the CS Lewis Nature Reserve as ‘The Wood between the Worlds’ from ‘The Magician’s Nephew’. 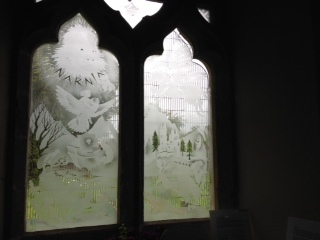 Ride completed with a visit to the Narnia creator’s grave and the beautiful stained glass Narnia window in Holy Trinity Church. And then the sun came out. 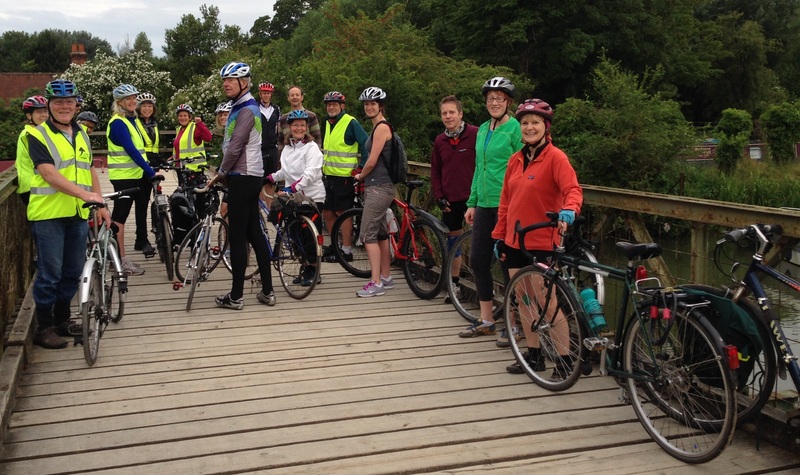 We had a lovely ride this-morning with 18 early birds on board. 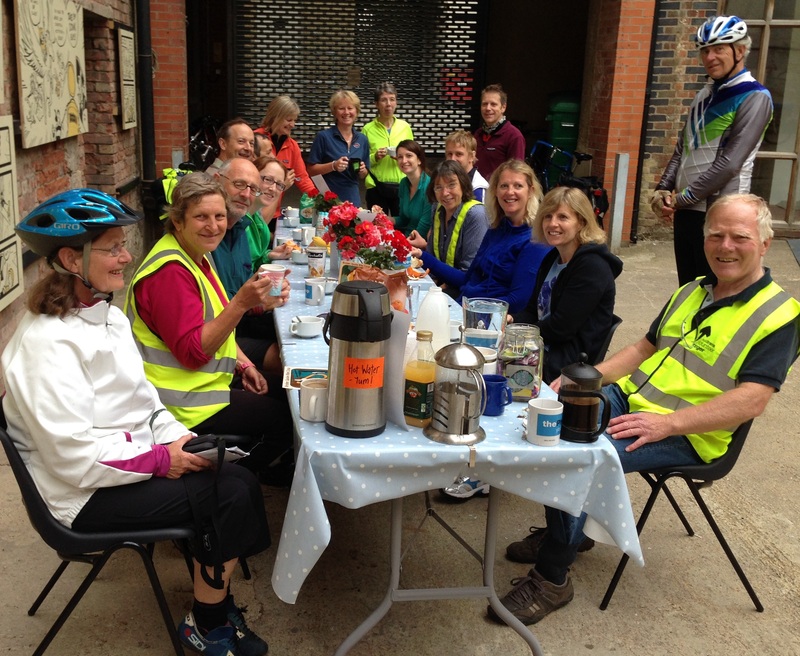 The Broken Spoke folk were fab: fruit and cereal and yoghurt and coffee and baguettes etc all laid out on a table with pots of flowers. 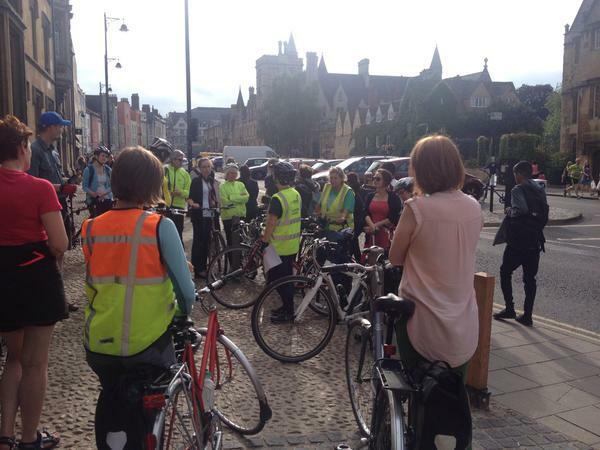 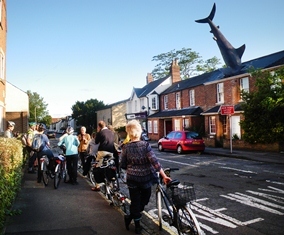 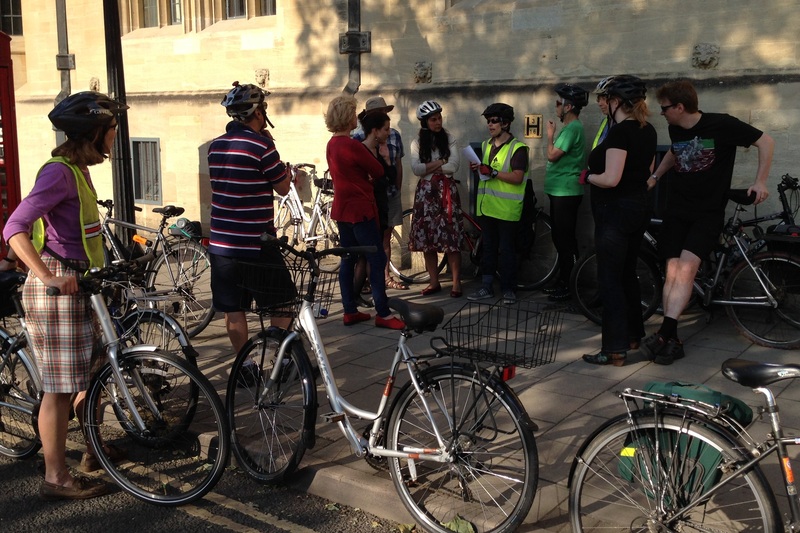 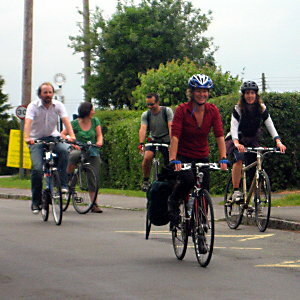 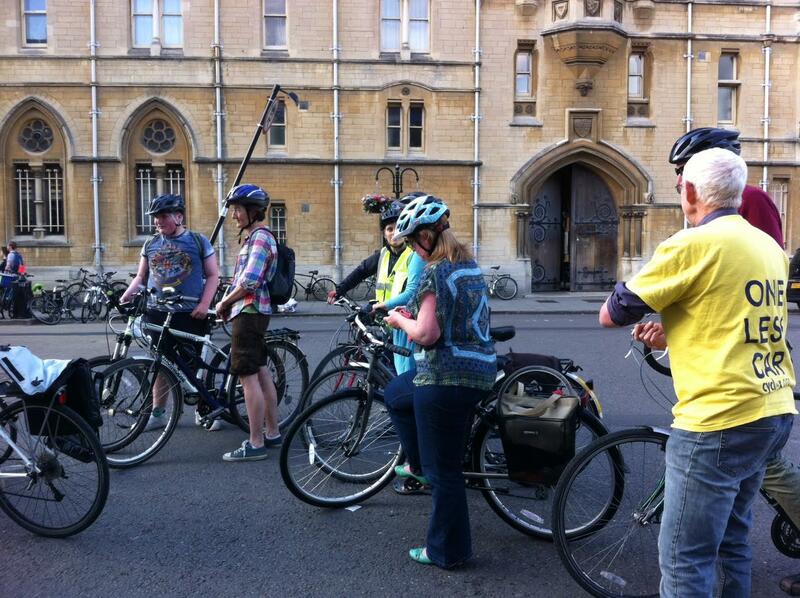 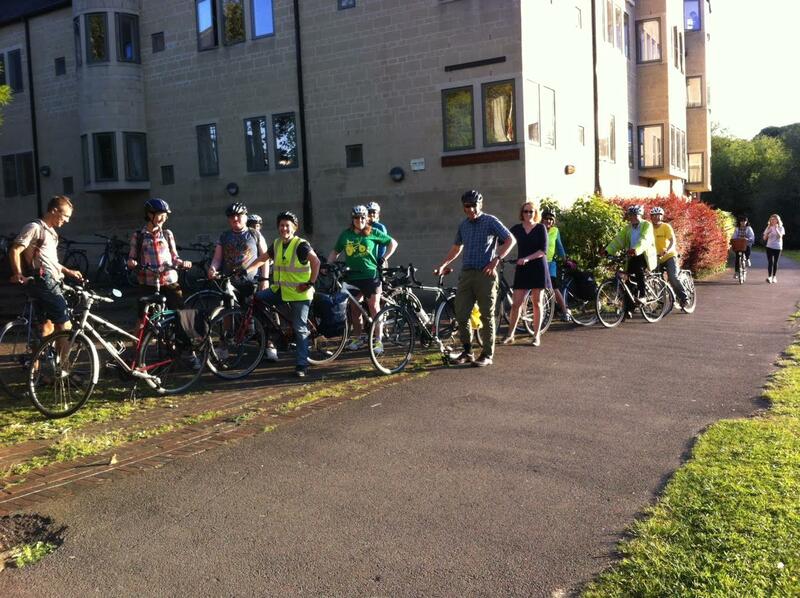 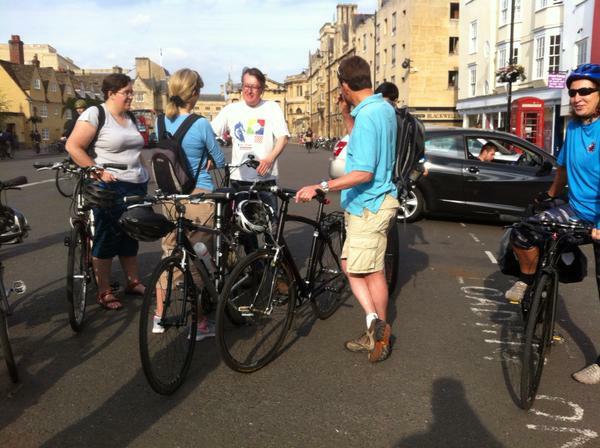 Over twenty people turned up for this fascinating and informative ride on a sunny Friday evening. 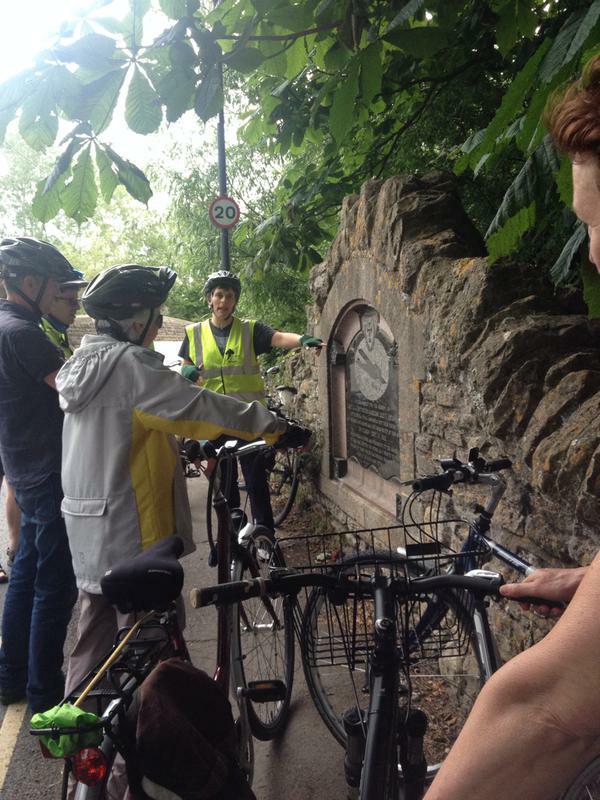 What a lovely and well researched ride! 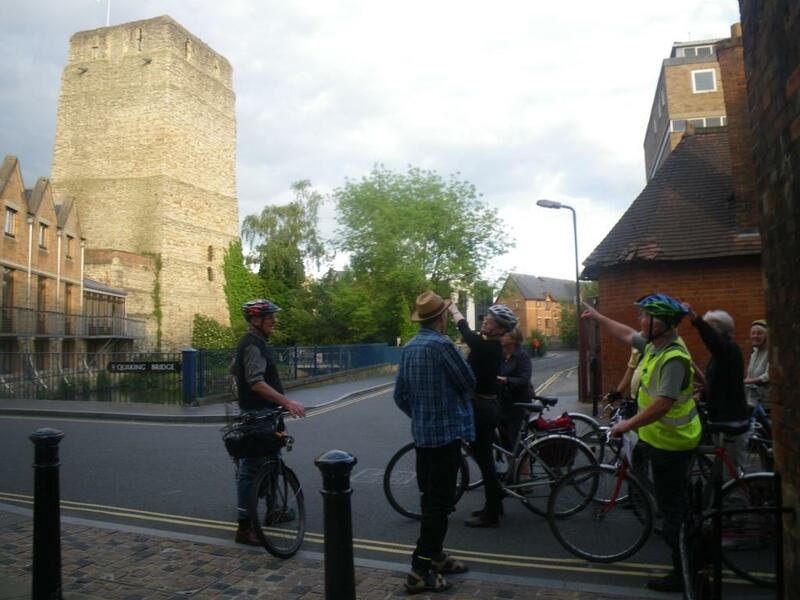 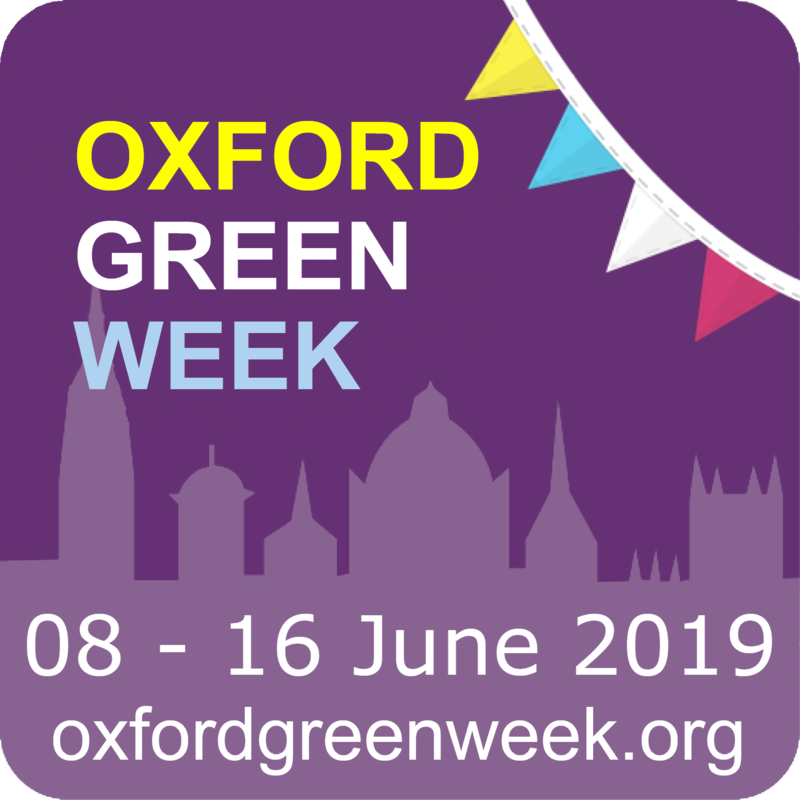 Twelve people turned up for this ride about Oxford during World War One and we had a lovely, gentle ride around Oxford down to Wolvercote, through Port Meadow and back through Jericho. 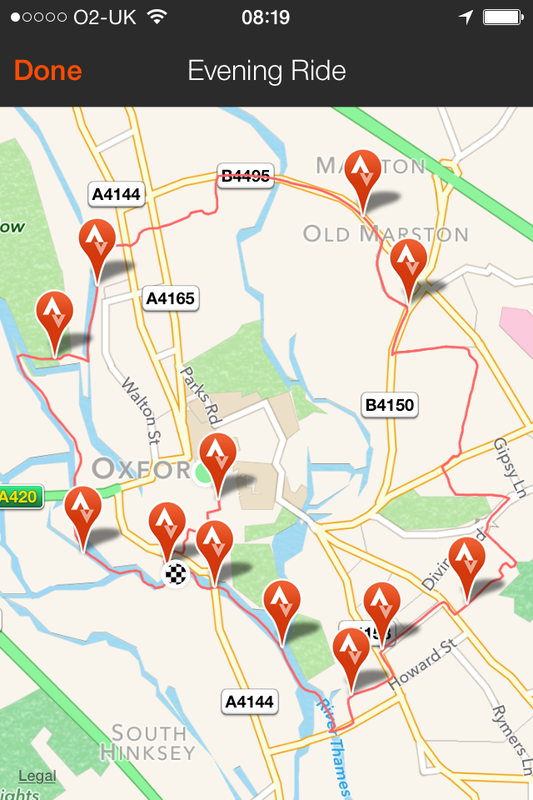 …such an enjoyable ride. 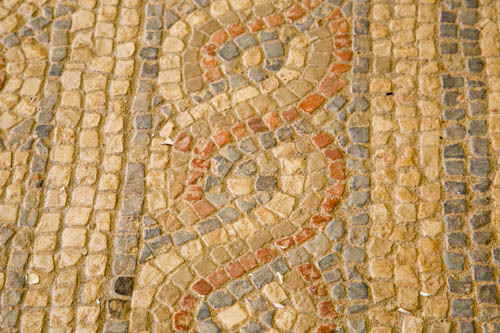 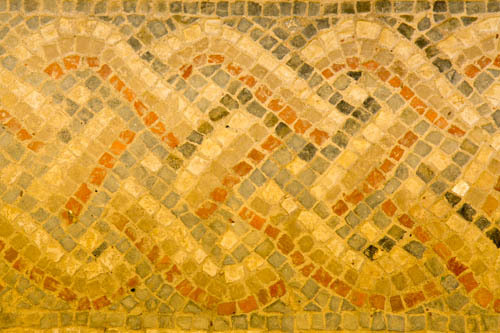 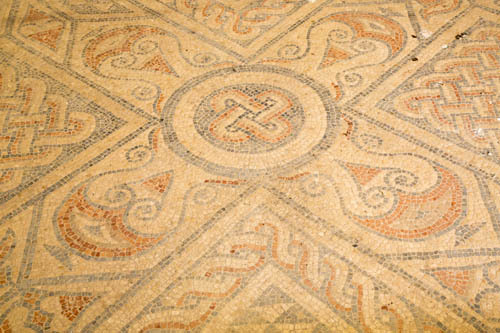 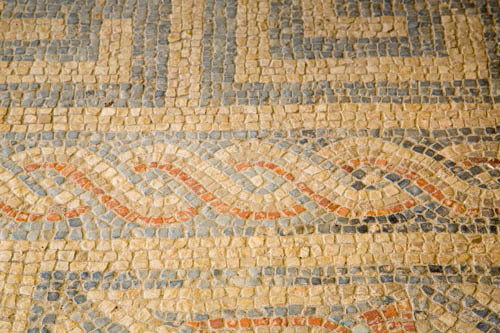 It was a treat to see the mosaics too. 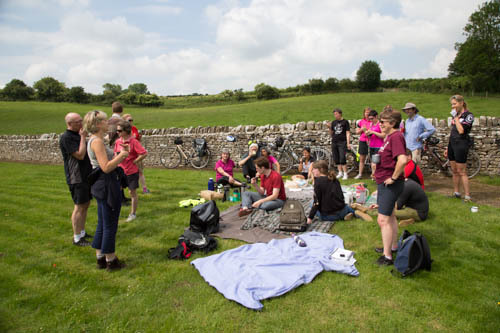 Twenty people turned up on a sunny Saturday morning to take part in the Roman Ruins ride and have exclusive access to the mosiacs which are not normally available for public viewing. 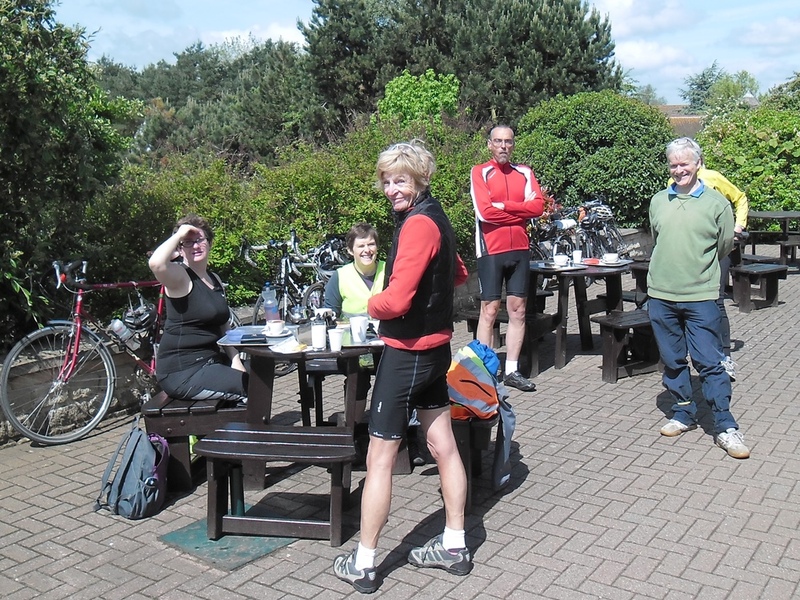 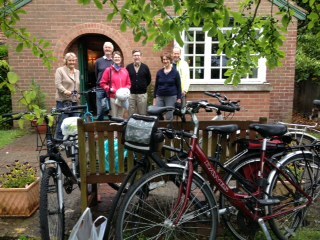 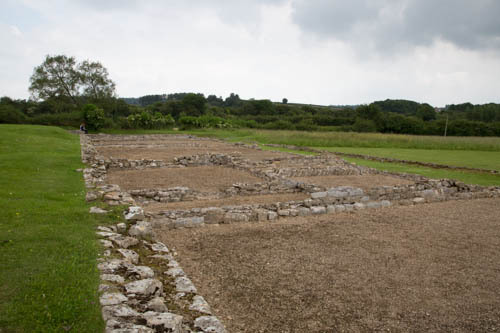 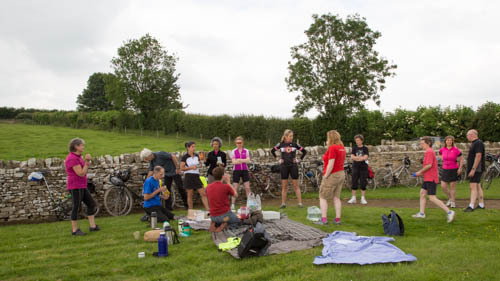 Refreshments were provided at the Roman Ruins by Josie and Simon and there was a lovely ride back to Oxford. 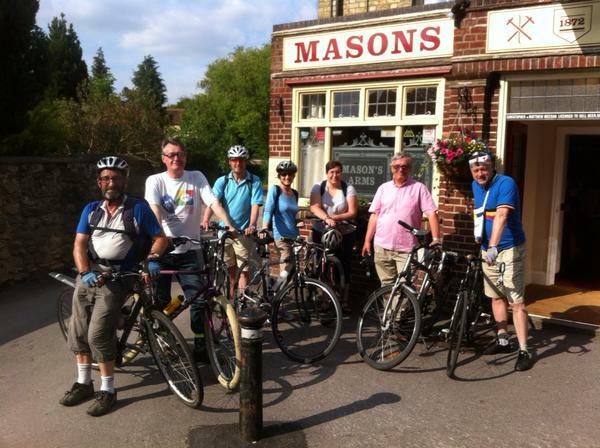 All in all, a very successful ride! 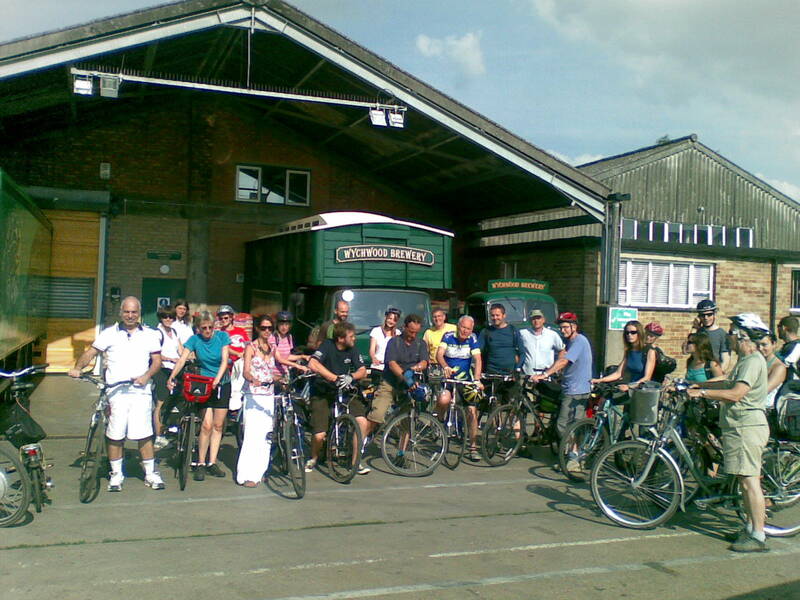 2012: A regular ride during bike week; a circular ride out from Broad Street to the Wychwood Brewery in Witney, followed by a tour of the brewery and some beer tasting – Ale drinkers welcome!